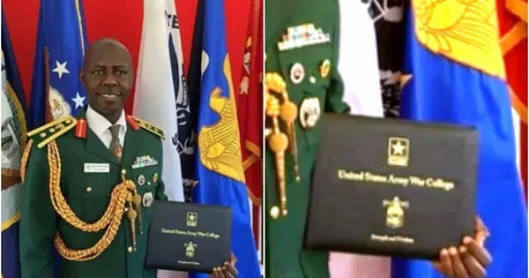 Nigeria's Colone Kazir graduated with Distinction out of 138 Graduates from 71 countries at U.S. Army War college. He was awarded Distinguished Graduate. Congrats to him!